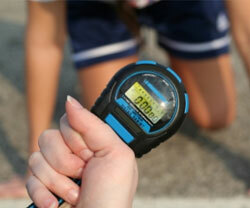 How does it sound to spend a month on the sidelines because you didn’t spend 10 minutes warming up? Or spending a month outside of the gym? Both of those are very real possibilities if you don’t warm up. Even if you haven’t had an injury yet, it doesn’t mean you won’t. As your muscles get stronger, the potential for injury increases too. So read on to learn how to avoid these problems. Do you feel that your lungs or lactic acid build-up are holding you back? Well both of those issues can be decreased through lung training. In this article we compare various methods of improving your lung capacity, endurance and strength. While lower body plyometrics is effective for increasing speed, jumping height and strength, our previous article found that Olympic style weight lifting is even more effective (particularly for jumping height). Plyometrics is a fine choice though, so below we have included 3 suitable training programs. It is recommended to train 3 times per week. The power clean is a rarely seen exercise in most gyms (unless you’re in an Olympic lifting gym, or sports focused gym). However, it is more valuable than its popularity suggests. According to Mark Rippetoe of Starting Strength, the power clean is the best way to convert your strength (e.g. 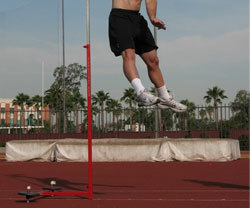 squats and deadlifts) into power, and power is the most important factor contributing to vertical jump height. So let’s take a look at the scientific studies to see exactly how beneficial the power clean and similar exercises are for the vertical jump. Assisted and Resisted Sprint Training are both methods reported to increase sprint speed and acceleration. This article will get down to the facts. 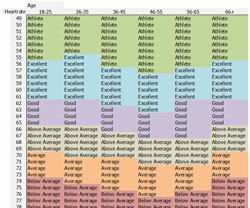 It starts with a little explanation and examples, then gets to the research, the numbers behind both training methods. Read on to learn more. 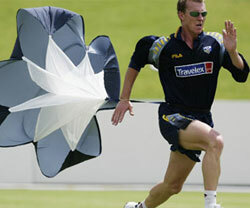 Parachute running sure looks beneficial as a running training tool, so in this article we review whether or not it is effective, and by exactly how much. Our personal choice of running parachute is the SKLZ Speed Resistance Training Parachute @ Amazon, which has good reviews and is well priced at $20. Now let’s check the evidence. Take a look at the photo below and answer me this: do you think those muscles came from running or from lifting weights? 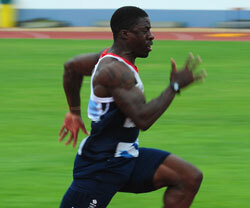 And another question: do all Olympic sprinters have big muscles? Just by looking at the arms you can tell that the muscles came from lifting weights, and the answer to the second question is yes, they do all have big muscles. With the assumption that building strength (and muscles) improves sprint times, this article will analyse which exercises correlate strongest with faster sprint times.